Which industries will be disrupted by robotics and AI? Robotics and AI are poised to be a trillion-dollar market worldwide. What are the key applications, and which industries will be affected? 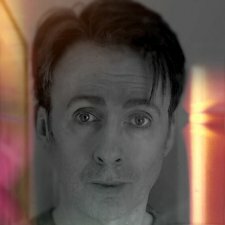 Chris Middleton presents a ‘Top of the Bots’ rundown. The global market for robotics and artificial intelligence (AI) systems was estimated to be worth $260 billion in 2016, according to UK-RAS, the umbrella group for British robotics research. That figure will exceed $3 trillion by 2024, says the organisation. Eight per cent of jobs are already occupied by robots, and 26 per cent will be by 2020, they claim. Set alongside the prediction* by Dr Anders Sandberg of Oxford University’s Future of Humanity Institute that, in the future, 47 per cent of all jobs will be automated, it’s clear that the economic impact of robots and AI will be significant, even if these figures prove to be overestimates. With the rise of AI and machine learning already impacting on consumer and enterprise applications, robotics is a field that expands far beyond the idea of mechanical men – a dream that had fascinated mankind long before the word ‘robot’ was coined in Karel Čapek’s 1920 play, ‘Rossum’s Universal Robots’ (from the Czech robota, meaning ‘forced labour’). So what are the most important, innovative, or surprising applications of robotics and autonomous systems (RAS) today? And what might their impact be on human society? 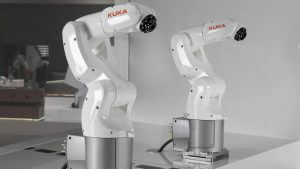 Industrial robotics is booming as rising numbers of manufacturers turn to automation. A new generation of robots is following the smartphone model: smart, customisable platforms and ‘cobots’ – robots that complement human skills – rather than dumb, single-task machines. One such device is Eva, by London robotics startup, Automata. As a result, even specialist processes are falling to the robots; they just need the right app. In 2016 alone, China bought 66,000 industrial robots – one-quarter of the models produced in that year. Each machine can do the jobs of up to 15 full-time workers, without falling ill or taking a holiday. This tells us that 66,000 robots can do the jobs of one million people. With Moore’s Law making industrial robots faster, smarter, and cheaper over time, that figure may rise to three or four million over the next five to 10 years. Alongside 3D printing, driverless deliveries, and the sharing economy’s transformation of warehousing (via startups such as Stowga), smart, low-cost industrial robots may soon be available to small businesses, too, creating a new ‘PAL’ supply chain: businesses that are personalised, automated, and localised – a concept developed by transformation expert Sean Culey. One example of this is Adidas’ strategy to open dozens of local, robot-staffed ‘Speedfactories’ worldwide. These can custom-make a pair of shoes and deliver them locally far more efficiently than rivals can mass-produce millions of identical pairs in Asia, for example. The downside of mass automation is the potential impact on jobs in industrialised countries, and in emerging economies that want to emulate China’s growth. However, as my separate report explains, robots also create new, skilled jobs as well as automate routine tasks. In 2015, for example, US car makers bought over 60,000 industrial robots, too, and created nearly a quarter of a million new jobs. Amazon – one of the most automated businesses on Earth – has created 100,000 new human jobs in recent years. Using the Chinese figures as a guide, this seems to suggest that for every ten low-skilled jobs that are carried out by machines, 2.5 new skilled roles are created for human beings. If this is correct, the risk will be less about mass unemployment in simple terms, and more about rising economic disparity and a lack of transferrable skills among the long-term unemployed. See my reports on the Chinese and US manufacturing sectors, and robotics in engineering for more. Farming has always been in the vanguard of automation, and so it is no surprise that this seasonal, cost- and labour-intensive industry is now at the forefront of robotics applications, with drones, driverless tractors, and autonomous harvesters. In 2017, for example, researchers in Shropshire claimed a world first when they used robots to plough and sow a field of barley. As with industrial robotics in the manufacturing sector, the next generation of robot farmers will be smaller, smarter, and more programmable, and will be able to carry out complex manual tasks, such as fruit picking. Drones fitted with multispectral cameras are already being used to survey farms from the air and spot which areas need more irrigation or fertilisation. These can be linked with autonomous tractors that are sent to those parts of the field. AI, data analytics, and smart supply chains have a role to play in the farming revolution too. For example, US startup Aerofarms (“farming locally, globally”) is among the many organisations using big data to reinvent agriculture from the ground up, in every sense. By moving crops indoors into sensor-controlled, LED-lit, aerial environments – vast libraries of crops – Aerofarms claims that it can achieve “390 times the productivity” of traditional field farming, using 95 per cent less water and zero soil [see picture]. 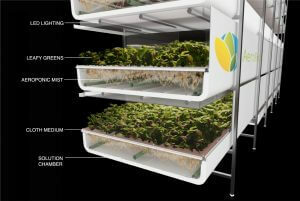 Aerofarms claims that its crops are stronger, greener, and tastier, without the use of genetics – all thanks to big data. When the first cars appeared on Britain’s roads in the 19th Century, the Locomotive Acts stipulated that each one should be accompanied by a man walking in front of it, waving a red flag. Today, companies like Tesco and courier giant Hermes are trialling autonomous delivery vehicles from Starship Robotics on London’s streets. Each is accompanied by a man walking in front of it, while the robot carries an LED flag, warning people that the machines are coming. So what’s changed between the 19th Century and the 21st? We’ve got rid of the driver. Put another way, we appear to have identified human beings as the problem. But whatever the legal environment might be today, autonomous vehicles can only get faster, smarter, safer, and cheaper in the decades ahead – just like their industrial counterparts. Each car will be able to update itself overnight with data about how every other car in the world has been used. And with electric vehicles becoming the norm, the sustainability benefits could be huge. Autonomous vehicles’ impact on transport, logistics, deliveries, healthcare, and countless other applications, will also be significant. On the one hand, driverless cars may democratise road travel, making it available to the young, the old, the blind, the physically disabled, and even – as Culey noted recently – the drunk. But on the other, millions of people – 3.4 million in the US alone – work as drivers. With these opportunities vanishing, the impact on jobs may be difficult for society to absorb. Another effect will be cultural: car ownership today is aspirational, a status symbol. Might future drivers be seen as antisocial, or disruptive to autonomous systems? The driver as social outcast: a sci-fi staple, but perhaps now a real possibility. Public transport will be transformed, too. The distinction between it and private transport will eventually vanish, as autonomous vehicles spread and on-demand usage replaces expensive ownership, with each vehicle able to access the profiles of individual passengers. As the Internet of Things, sensors (see below), AI, and analytics converge, our transport networks will also get smarter, greener, safer, and more efficient in the years ahead. For example, the Korea Railroad Research Institute is building sensors into the country’s railways, allowing it to monitor every aspect of how the network is being used in real time. 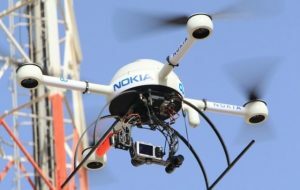 Aerial drones and unmanned aerial vehicles (UAVs) are another boom sector. Drones are already being used to survey farms (see above), power stations, wind turbines, oil rigs, and other sensitive, hazardous, or remote installations. Other applications include search and rescue, infrastructure maintenance, aerial shots for TV and film, and climate modelling and weather systems mapping using geo-referenced data points from drones released at high altitude. Pilotless cargo drones are also being used to deliver aid and medicines more safely and cheaply in remote areas, pointing to a near future of unmanned cargo flights worldwide. 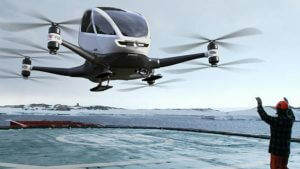 In United Arab Emirates, smart vehicles are taking to the skies with passengers, too: unmanned helicopter-style air taxis, such as the EHang 184 (see picture), are being developed to help alleviate road congestion. The direction of most military development is also now towards pilotless, autonomous or semi-autonomous units – a development held back only by legislative and ethical considerations. AI and natural language processing are available in the cloud, via services such as IBM’s Watson. Linking apps, smart devices, and humanoid machines to supercomputers (and even quantum computers) in this way creates opportunities for start-ups in the field of industry-specific data. One such company is self-styled ‘cognitive travel agent’, WayBlazer, which provides tourism-specific data to robots, via Watson in the cloud. The Hilton group is trialling robot concierges in its hotel foyers. Thanks to WayBlazer and Watson, these machines can answer questions about local sights and amenities, and make detailed recommendations. Of course, human beings have done this for centuries, but robots’ ability to crunch vast amounts of data on demand gives them a superhuman advantage. AI is already being deployed on vast data sets to identify patterns of behaviour or ‘signal in the noise’. A prime example is NASA’s use of AI to identify new planets from the mass of data gathered from the Kepler space observatory. A parallel big data/AI application is the emergence of real-time translation services, with Google’s Pixel Buds and Pixel phone enabling face-to-face conversation in over 40 languages. Despite the availability of sophisticated AI in the cloud, many AI and robotics applications will require real-time communications. In a world of increasing complexity in hybrid and cloud environments, the distributed core and the edge environment are where a lot of real-time AI and IoT computing will take place, overcoming the latency of cloud-based services for time-critical AI decisions, such as a smart vehicle’s need to avoid a collision, or virtual/mixed reality’s need to layer data on top of the real world. Entry-level and even expert roles in sectors such as banking and investment are in the vanguard of automation trends worldwide. Mitsubishi UFJ, Bank of America, Merrill Edge, and UBS are among the many companies pursuing either automated customer service or robotic investment platforms. Others are using AI to second-guess customer behaviour and persuade investors to think outside of their comfort zones. Neural networks are also helping the financial services sector to detect fraudulent transactions. With recession affecting Western economies roughly one-third of the time, will machines do a better job of managing our finances? Or will they simply automate the same problems that arise from humans’ desire to gamble? It’s a serious question: if fraud detection can be automated, then so can fraud. Like banking, the law is a set of enforceable rules, which makes it a greenfield site for AI and robotics. AI lawyers already exist, while legal practices are using the technology to sift through centuries of case law. The cost and productivity advantages are clear for employers and investors, while automating menial tasks helps lawyers to focus on their clients. • Reduced employment opportunities for skilled people. The professional middle classes will be among those hardest hit by AI and automation, along with manual workers. • A gulf opening up between newly qualified people and opportunities to ‘learn the ropes’ of their profession at junior level. Robots are removing the first rung of the career ladder. Robocop is fast becoming a reality. Autonomous Knightscope K5 robots are already patrolling parts of Silicon Valley, while the similar-looking Anbot is used for riot control in China. 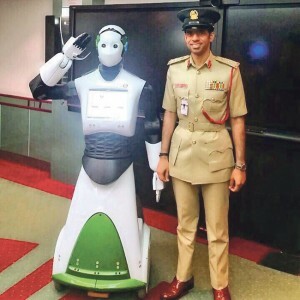 Meanwhile, Dubai has employed Pal Robotics’ Reem machines in citizen-liaison roles on the city’s streets – the first step on a journey towards robot policemen, say the authorities. The ethical challenges of industrialised law enforcement are clear. These include the potential to automate bias or prejudice, and the question of whether machines should ever be allowed to harm human beings. While global human rights declarations exist, they’re interpreted differently in, say, Saudi Arabia and Iran than they are in the UK or France, and any robots within those societies are likely to reflect those differences. On the battlefield, weaponised drones – such as the US’ Loyal Wingman F16 fighter, for example – share these ethical challenges. 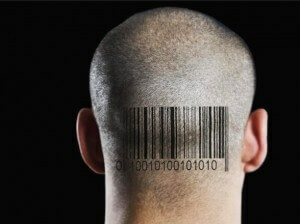 Should a machine be programmed to kill a human being, or be allowed to make that decision for itself? And if a robot kills someone accidentally, who is responsible? A possible future emerges of no one accepting responsibility when humans are harmed within an autonomous system. • This separate report looks at whether AI might automate prejudice and other societal problems. Cybersecurity will be an order of magnitude more complex as the Internet of Things (IoT) rises, an environment which includes home hubs, smart domestic devices, security cameras, industrial machines, smart street furniture, humanoid robots, driverless cars, and critical systems in hospitals: a vast and constantly expanding hacker target that will soon number over a trillion devices. For example, security startup Zingbox explains that hackers have already accessed hospital systems to change patients’ drug dosages invisibly and remotely. The healthcare sector is already fighting problems such as ageing technology and a lack of funds and IT expertise, while specialist technologies may not be easily patched or use non-standard protocols. In such an environment, embedding trust in the IoT will be critical. A few years ago, white-hat researchers at IBM demonstrated the extent of the challenge when they used a hacked MP3 file to disable a driverless car’s brakes, and accessed one organisation’s data centre via its HVAC systems, and another’s via a smart lightbulb. As more and more of us trust IoT devices to look after our homes as well as our offices, we may also be allowing malicious agents to record every aspect of our lives. One solution may be to embed personality profiling in IoT devices: any unusual behaviour may be a sign that it is being hacked. And with rising evidence of Russia’s use of social platforms to engineer unrest in the US – hacking belief systems, not IT systems – it should be clear that IoT security has international importance. Some newspapers, such as the FT and The Sun, are using AI to track readers’ preferences and push them towards new content online, while Pearson is using AI to turn its online courses into personal tutors by learning what each student needs. Combined with data analytics, these programmes have a measurable impact on profitability and reader engagement. Meanwhile, Google has given the Press Association $1 million to develop the RADAR scheme, which uses AI to automate the production of news from local government databases. The plan has been criticised for removing human interpretation and investigation from local reporting. Bloomberg and Reuters are among the other agencies to invest in automated news, while News UK, parent company of The Times and The Sun, is automating its subs desks – not the news itself, but the production processes behind it. Overall, a future of robot news for robot readers seems inevitable: a world of machine-readable content in which people are almost irrelevant. Expect an industry-wide backlash to follow. Of course, the media sector has always been in the vanguard of new technology trends, as TV, movies, games, radio, virtual reality, and more, converge via on-demand platforms and content streams. AI will increasingly play a role in this convergence, as will hardware robotics: aerial drones and robotic motion-control camera systems are already giving audiences some dramatic new perspectives. As with AI, it’s all about deeper engagement. Programmatic advertising is commonplace on social platforms and websites. Meanwhile, AI-enhanced customer relationship management (CRM) applications, such as Salesforce.com’s Einstein and Sugar’s Hint, are helping marketers to extract patterns and predictions from prospect data, such as what a customer’s next purchases might be. The rise of devices such as the Amazon Echo pose unexpected challenges to marketers, who have to devise new strategies to attract the attention of AIs, rather than impressionable humans. Getting their clients’ products to the top of the list means marketers will increasingly be playing the algorithm game, rather than working as creative teams. In this sense, automation makes all of us think like machines. Elsewhere, PR agencies are automating repetitive, process-driven tasks, such writing press releases. In each of these applications, the same upsides and downsides apply as in the world of journalism. Most of us are familiar with facial recognition technologies at airport security desks, or on our smartphones, but over the next few years their usage will spread into countless new areas, including healthcare, online dating, retail, and secure mobile payments. 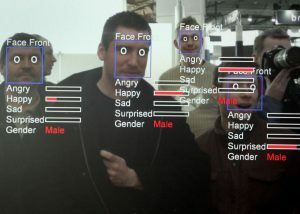 In China, for example, the Face++ platform is already being trialled in shops so that customers can ‘pay with a smile’. Meanwhile, advertisements in public spaces will begin to recognise us and pitch targeted messages – a concept familiar from the film Minority Report. For full details on this, see my separate report. As Siri, Alexa, and Google’s Assistant battle for supremacy in the home, shopping is emerging as the real success story of voice-activated AI. For example, Amazon’s Echo and Dot devices bring together the company’s sales and Web services operations: a single access point to a massive retail, fulfilment, and delivery platform that answers to a customer’s voice. 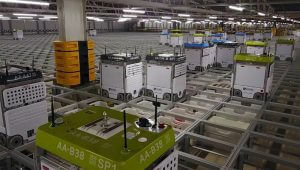 The fulfilment and distribution components of large ecommerce operations, such as Amazon and Ocado, are becoming highly automated, too. Order processing, collation, and packaging can be cut from hours to minutes within vast robot-staffed warehouses (see picture). Ocado’s ‘SecondHands’ strategy develops humanoid ‘cobots’ to work alongside human staff. As Amazon becomes the world’s supermarket and its home hubs learn customers’ preferences, end-to-end retail will be a boon for consumers. But it may open up antitrust problems on an epic scale: whose products will AIs be ordering, and why? This challenge applies to smart domestic devices too: once fridges start monitoring use-by dates and ordering fresh produce, whose products will they choose? For more on this, see my separate report on the ethics of AI. Humanoid robots have retail applications too. For example, Aldebaran/SoftBank’s Pepper robots have been trialled in shops, supermarkets, malls, and airports worldwide in customer service roles. See this video for an example. Hitachi’s EMIEW3 robots perform a similar function and are able to network with each other and speak multiple languages, as this video demonstrates. 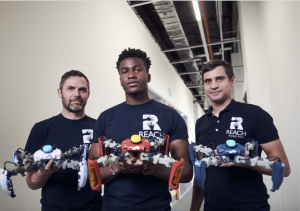 Reach Robotics CEO Silas Adekunle (centre) and team. Over the next decade, physical robotics, AI, and virtual, augmented, and mixed reality will merge in a variety of ways. One example of this is MekaMon, “the world’s first gaming robot”, from Bristol startup, Reach Robotics. MekaMon is a customisable, crab-like robot with augmented reality capabilities, designed for battle in a hybrid real and virtual world. Founded in 2013, Reach Robotics says that it “aims to bring high-end robotics and augmented reality to mainstream gaming audiences and provide the tools for future robotics and STEM education”. Some customer contact roles are heavily scripted and targets-based, making them algorithms in all but name. This is one reason why chatbots and voice recognition systems will quickly transform the customer contact market. Chatbots may become the preferred interfaces between organisations and people. The impact on jobs could be significant, especially in parts of the country where call centre work has replaced industrial opportunities. 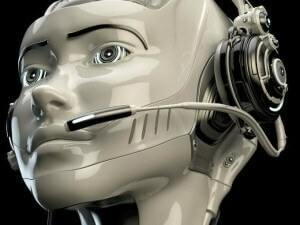 In the UK, one million people work in 5,000 call centres, according to the union Unison. This gives us an average of 200 human employees per centre, a figure which target-focused companies may want to see fall. The government must forge a new industrial strategy and social contract to make this work. Robot companions for lonely people? Some commentators lament the coming ‘dehumanisation’ of care, with humanoid machines replacing nurses, doctors, and carers. However, the assistive applications of robotics and AI will be legion in a world of soaring 65+ human populations (17 million by 2035 in the UK alone) and falling social care investment (down one-third per capita over the last decade). Light exoskeletons, 3D-printed limbs, smart medical aids, autonomous vehicles, and more, may help people with disabilities, while smart devices in homes, hospitals, and residential facilities will help many more. The UK hosts a number of research projects – at Bristol, Hertfordshire, Oxford, Sheffield, and Edinburgh universities, among others – exploring how robotics and AI can help ageing, sick, or disabled people to live more independent lives. That’s a programme of assistive and rehabilitative care, rather than the dehumanised world that some have warned us about. Meanwhile, tele-robotics already connect people to remote doctors, friends, and family. Mixed reality/VR technologies have a role here, too. In some parts of the world, drones are cutting the delivery time of live-saving medicines from days to minutes in remote areas – such as the ZipLine project, currently being trialled in Rwanda. AI and image recognition are already helping doctors to diagnose and treat diseases, and to predict the spread of tumours. Robot-assisted microsurgery will extend doctors’ ability to treat serious conditions, while Microsoft has developed smart glasses to help visually impaired people to recognise objects. But robotics’ impact on healthcare is far from certain: the development costs alone are a negative factor, with some machines retailing at up to a quarter of a million dollars apiece, for systems that may be obsolete in two years’ time. Lack of demand is another; Johnson & Johnson discontinued a line of robots in 2016, due to poor sales. So Doctor Robot may be ready to see us, but not everyone wants to make an appointment. 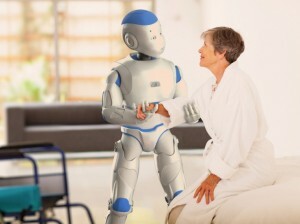 • For more on robots in health and social care, read my separate report. 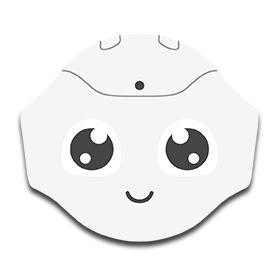 • Here is a video about Aldebaran/SoftBank’s Romeo robot. The UK will spend £2 billion every year for the next 100 years cleaning up its nuclear waste, so robotics represents a £200 billion opportunity in one industry alone – not just a financial opportunity, but also to take vulnerable workers out of harm’s way. Nuclear fusion is another area where haptics, AI, and autonomous/remote systems can reduce the need for human intervention in hazardous environments. Search and rescue robots, smart oil fields, and the remote maintenance of offshore wind farms are yet more applications in which the UK is conducting world-beating research. Meanwhile, aerial and marine drones will monitor climate change and help to predict natural disasters. Autonomous robots may help to transform time-consuming maintenance tasks, such as repairing roads, buildings, bridges, street lights, sewers, gas mains, and other parts of the built environment. For example, aerial survey and repair drones could do away with the need for scaffolding. In the UK, there are long-term plans for robots to replace diggers in Leeds and turn it into the world’s first self-repairing city. Meanwhile, Oxfordshire County Council is using AI and predictive analytics provide early warnings of travel problems in the region. The benefits are legion, but the sector is not without its own risks and downsides, as my separate report explains. Robots are the eyes and ears of the internet. In a big-data world, sensors are the untold story of robotics and AI, as they gather a host of data from our interactions with smart devices. Sensors monitor our buildings, test our air quality, listen for earthquakes, and watch for storms. Increasingly, humans are incorporating sensors into their personal environments too, via smartphones and wearable devices. Sensors are the key to making robotics, the Internet of Things, and the Industrial Internet of Things work: sensors in our buildings, cars, and green spaces; sensors in our transport networks and smart cities; and sensors in robots themselves. Take CERN, for example. As my separate report explains, everyone associates CERN with the biggest machine in history, the Large Hadron Collider. But the campus is also a smart city containing millions of separate components, from the largest supra-cooled magnet to the smallest bolt. Thousands of sensors throughout the 27km loop help scientists to not only analyse the data that comes from smashing particles together at just under the speed of light, but also to monitor every inch of the system. CERN is as much a smart asset management programme as it is a forum for big science. As organisations worldwide gather more data from their sensor networks, predictive analytics and real-time data analysis help them to respond more quickly to problems, get resources to where they need to go, and create more sustainable and efficient supply chains. Rapid prototyping companies are even embedding sensors in the most mundane household objects, such as brooms and chairs, to find out how people use them differently from one country to the next. This helps makers to fine-tune products for different parts of the world, as manufacturing increasingly moves towards Culey’s PAL supply chain model. Perhaps the biggest impact will be on human skills. As automation, AI, and robotics spread through more and more industries, skills and education will become the real battlegrounds, as the gap between those who can adapt and those who can’t becomes ever wider, in terms of opportunity and earning power. The emergence of a generation of multi-skilled, adaptive individuals with portfolio careers is inevitable, as is a surge in demand for niche skills in the sweet spot between established processes on the one hand, and AI, robots, and analytics on the other. An awareness of the new connections that can be made across different industries will also be important. ‘The geek shall inherit the earth’, perhaps, and organisations will need a strategy to retain essential skills within the organisation. Also essential will be ‘soft’ skills, such as lateral thinking, critical thinking, and good interpersonal communication – qualities that everyone can work on acquiring, and not only those who are well qualified academically or professionally. Pupils and students: take note. But the gig economy will present its own challenges. While the network creates both global opportunities and local employment, it also commoditises skills and services. Without checks and balances in place (such as a Universal Basic Income), the potential for many workers to make a sustainable living may fall, even as their opportunities to find ad hoc employment rise. Sadly, this may include people in critical professions, such as teachers, doctors, and care workers. But in the end none of this is certain. The difficulty of predicting robots’ impact on society can be boiled down to one thing: the mismatch between what developers think they’re making, and what customers think they’re buying. Most manufacturers and researchers sincerely believe they’re creating assistive technologies to complement human skills (aka man plus machine), but many buyers focus exclusively on deploying robots and AI to cut costs, maximise profits, and raise productivity (aka man vs machine). If people are put front and centre of robotics and AI programmes, then their lives may be enhanced by these technologies, which offer transformative opportunities for job creation and economic renewal. A policy of only implementing these technologies sustainably and strategically for the benefit of mankind is essential. The UN’s Sustainable Development Goals provide a useful framework for achieving this. However, if organisations focus tactically on the prospect of saving money by replacing human workers en masse, then long-term societal problems are inevitable – especially if there are no mechanisms in place to counterbalance these trends. 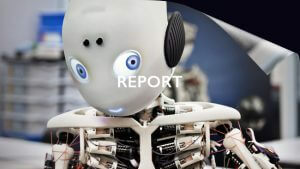 UK-RAS, the UK’s research organisation for robotics and autonomous systems, predicts that true AI – self-aware systems that can think for themselves, have abstract thoughts, and make emotionally intelligent choices – will emerge by 2050. So we have until then to get the balance right. *: At the Japan/UK Robotics Seminar in London, February 2016. • Parts of this article were first published on Hack & Craft News. © Chris Middleton 2017. If you use ideas from this article, please credit the source.